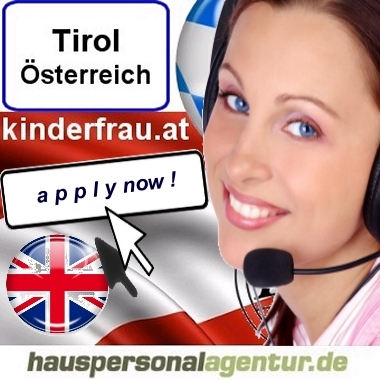 English native speaking Nanny wanted in full-time to the Western part of Austria effective immediately. Care of children/education: Mainly for the six-year old child, but you should be flexible and also willing to look after the younger one if needed. encouragement intellectual: Especially the english language. organisation: Everything for the child and its entire day. Your employer will offer you an interim accomodation and then help you in finding an appartment. The family is looking for a Nanny who is flexible and sportive, and you should enjoy swimming. You should be very active with the child, and be prepared to plan and undertake trips, go outside, but also be able to explain technical and scientific items.